A couple people at my office went to CES last year. One of them was showing me pictures and it seemed like everything was made with a 3D printer. Not just the usual things you expect like prototypes for various electronic toys. They showed me clothing, food items, art, jewelry, eyeglass frames and even a prosthetic arm with art incorporated into it. The sky seems to be the limited, based only on the imagination and skill of the designer. The prices of these 3D printers are coming down, as well, with printers available under $300 and a few that are closer to $200. It wasn’t that long ago that they were $1000 or more! So what does that have to do with Wi-Fi and networks? People are designing useful objects that can be 3D printed because the market is just too small for traditional production methods or there just aren’t that many people who can use it. It’s also great for solving that problem that is unique to you, but here’s a few examples that you might actually be able to use. 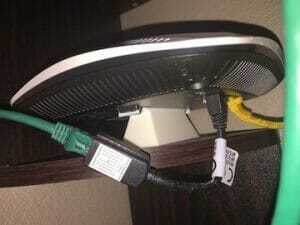 Need to mount your AP to a network jack? 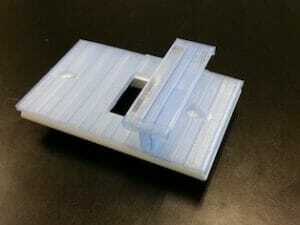 Problem solved, if you have a 3D printer. Many wireless engineers like to travel light and build their survey rig on site using painters poles and some ACME threaded 90 degree adapters. Jake Snyder (@jsnyder81 on Twitter) created this adapter to make it easy to connect various APs to this survey rig using their stock T-bar adapters. This is a good example of a product for a small niche that is really useful for those who need it! Ever need to stick an AP on a bench for testing? It ends up sitting on the cables and power supply if you aren’t using PoE to power it. This is another Jake Snyder design. He got tired of that and made this stand to hold the AP on a bench. Very niche and very nifty. The actual design is a little taller than what’s shown in this picture, so there’s a little more clearance than it looks like here. The AP pictured is sitting in his home lab. One of the great things about these designs is that they are Creative Commons licensed, so you can improve and/or modify them for your purposes and share them with others. For example, in the network jack AP mount, I might want to reduce the height of the bar to make a cleaner looking mount. Or maybe I might want to modify the bench stand to work with another product. Unlike a mount you might buy from someone else, you can modify these fit your needs pretty easily. 3D printers are great technology to enable the creation of items we just could not have had before and aren’t just for inventors of the fancy stuff you can see at events like CES. They can be used by everyday people who just need to solve a problem. Take a look at the tech and design at sharing sites like thingiverse.com and pinshape.com. Get ideas and solve real problems or just have fun. Regardless of your purposes, 3D printing is already a great tool and is going to shape our future. 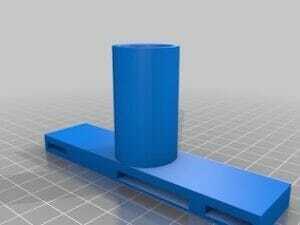 This entry was posted in Wireless and tagged 3D Printing, Wireless by scottm32768. Bookmark the permalink.